Extremely clean and crisp. Staff was great. Very secure. Full time Rv'ing in a 43 ft coach and 20 + trailer. We began our journey this past winter and wandered our way north. 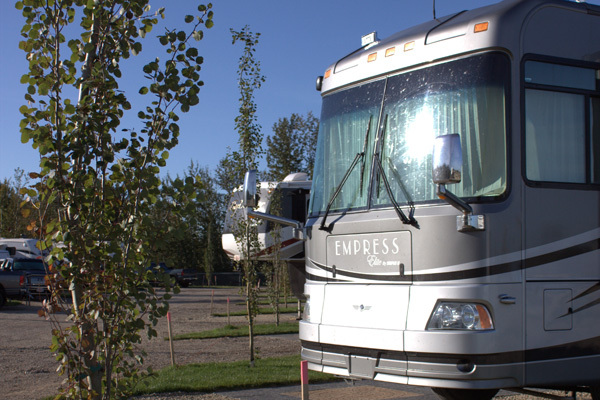 RV parks are quite a bit different in Canada than what we are used to in the U.S...a bit more sterile with not a lot of trees, grass or character, but understandable considering the short RV season. Camp' in Class is by far the cleanest/immaculate park we have encountered anywhere! Washing machines/dryers are spotless and actually work! $2.00/wash-$2.00/dry The washrooms are amazing and again are the cleanest ones we have encountered in our travels! $1.00/5 minute shower. It's been a pleasure staying here and Mike & Chris are more than accommodating and that's why we'll definitely be returning! 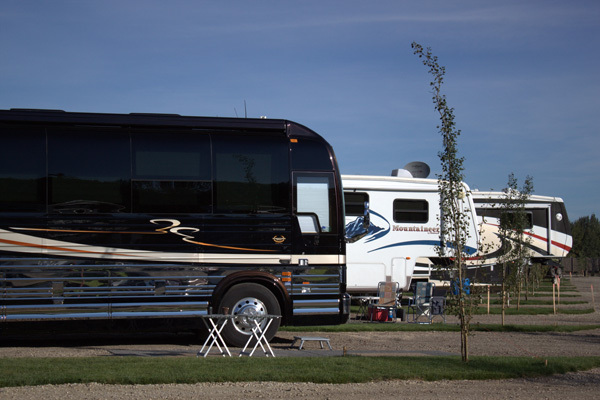 | 5 star rv park! What else to say? You have to see this park. 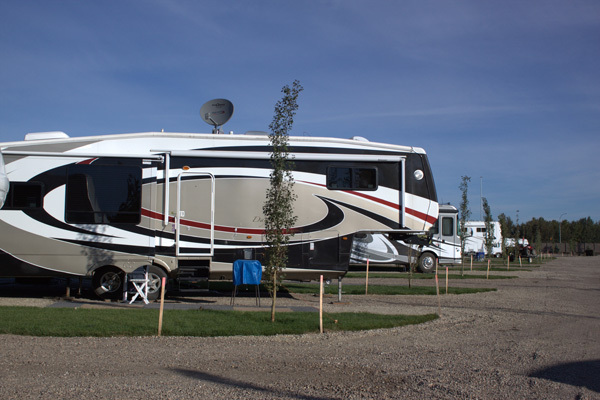 CAMP'N CLASS RV PARK IS A FULLY SERVICED YEAR ROUND RV PARK IN THE HEART OF STONY PLAIN This brand new architecturally designed, fully serviced RV Park is located in the heart of the Town of Stony Plain. 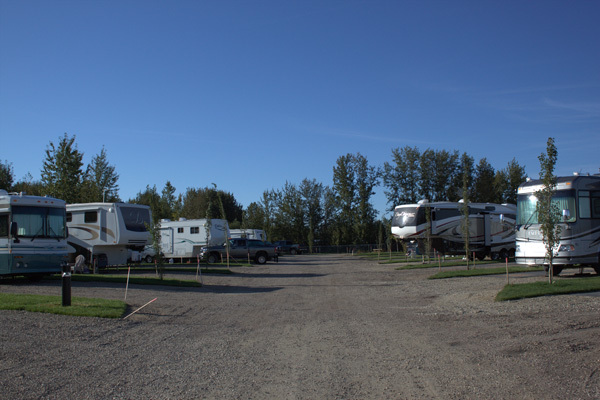 The RV Park has 77 RV stalls in total with 34 Pull Thru stalls. STAY...in luxury. Each stall has full hookups with town water, a paving stone patio, gravel pad and a picnic table. Stall sizes are 60ft-70ft long. SHOP...Guests are walking distance from grocery stores, coffee shops (Tim Hortons), artesian stores, Farmer's markets, restaurants and banking amenities. Looking to shop for the day? West Edmonton Mall is only 15 minutes east!